I love to hear from you! Please let me know how I’m doing. I always try to provide the best service to all my customers. She does wonderful work! I look forward to shop with her again! she has so many interesting techniques and makes beautiful cards. I love watching her,she is very good at what she creates! VERY talented stamper! Love your creations, learn so much from you and proud to be a part of the same team "Team Stamp It"
I love her videos and tutorials. She also has a great style, cards have techniques, layers, bling, etc. I really like watching Linda. She is very thorough in all of her videos. Some days she keeps me in stitches...such a down to Earth personality. Always creative fun cards, really enjoy watching!! Linda, Thank You so much for my Seasoned with Kindness Stamp Set. Your live Facebook classes are so inspiring and Thanks for a chance to win your wonderful giveaways. I appreciate so much the stamp set I won. Thank you so much Linda for all your great Facebook live inspirational classes. Appreciate all you do for us your subscribers. Love my Holiday Catalog Share box. You do an awesome job! Just to let you know that I received my shares. Awesome! I love the way you package them. Neat and tidy. Love watching your show on YouTube and Facebook, you are truly an inspiration to me. Love your tips, I'm learning a lot. Always love your videos. You always inspire. Just a quick note to let you know that I received the share. Love it! Thanks so much for packaging it so nicely. Been looking at my pretties like a miser! Must use the ribbons and cords! Love the videos. I have learned a lot from them. I have placed my embossing powders into the containers and told my friends about this. 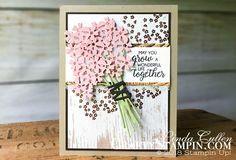 Thanks for giving ideas on making cards and using the products. I am over the moon! It was packaged so beautifully and I am thoroughly impressed. I will definitely be joining this product share again! Thank you Linda for all that you do! You make everything look so easy! And give such good tips. I love watching your tutorials. I always learn something new! I love watching your videos. I’m new to stamping and crafting so I get lots of ideas. enjoy watching you make cards. I loved your day of classes. It was a wonderful way to spend the day crafting. Thank you so much. Love watching you. Love to watch them [Coffee & Crafts], very inspiring. I want to tell you how much I love your videos I have learned so much from them. THANK-YOU for all you do! I just received my PRODUCT SHARE! What a great idea. Now I can try so much more product out of two different catalogs and NOT break the bank! I will be enjoying all these goodies for a while. :). Thanks so much Linda! Just wanted to let you know I received the ribbon share the other day. Everything was fine. As a hobby demo, I usually don't invest in a lot of ribbons but the share gives me a chance to try some of the new styles. Thanks for doing this. Your service was fast and efficient. I appreciate it. Thanks again and have a wonderful summer. Thank you so much Linda!!!! Love your video's!! Very inspiring. 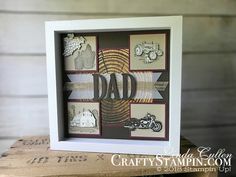 Love Stampin Up! also!!!! Have a great day!! So much fun watching you today. I may not have all the stamps and products that you use, but I learn so many other useful techniques and helpful hints!!! Thank you so much Linda! I love watching all of your videos! You truly inspire me to create!! I love your videos and tips.